I’m such a planner – especially when it comes to vacations. In the time leading up to any big trip, I’m making reservations, planning out our days, and picking out extra activities just in case it rains. Those of you who are already busy planning fall vacations will be happy to hear that tickets are now on sale for Mickey’s Not-So-Scary Halloween Parties and Mickey’s Very Merry Christmas Parties. 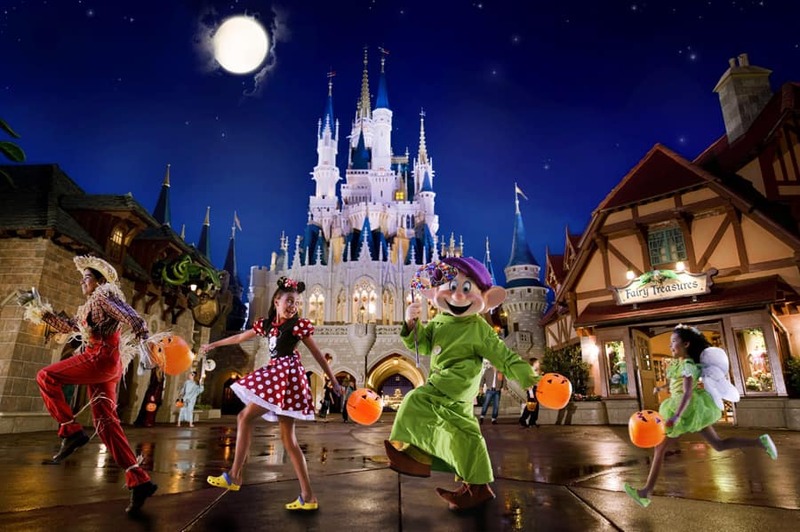 Mickey’s Not-So-Scary Halloween Party is a Halloween-themed special event held on select evenings at Magic Kingdom Park. Purchase of an additional admission ticket is required to attend, and plenty of fun is in store, including trick-or-treating, performances of Mickey’s Boo-to-You Parade and Happy HalloWishes Fireworks, Disney characters in costume, themed décor and much more. TIP: Purchasing tickets ahead of event dates may get you a discount of $10 per ticket! Do you have to purchase tickets for the party just to get in to Magic Kingdom? When is the taping for the Christmas parade? Hope that we will be there for the Christmas Day taping!! I count down the whole year until MVMCP. It is the best day of the year. I have to start planning ASAP ! Do you know when the Osborne Lights will start at Studios?????? MVMCP on one day and Osborne Lights on the second would put anyone in the Holiday spirit ! I am booking a trip for the first week in Dec in a few months. Will tickets for the Christmas Parade still be available in July? Most likely, but these events can sell out closer to time. I believe the special event ticket should be all you need to enter the special event / party. Once you attend one, you ALWAYS come back for more. Am I right??? We will be there in October this year and after being at MVMCP last December we are super excited about MNSSHP. Just double checking on the ticket purchases to make sure nothing has changed, we buy a ticket for MNSSHP but we do not need a ticket to MK that day correct? Our schedule has us at Animal Kingdom that day but we can still attend the party that night with no park hopper, right? Also, when purchasing the tickets why does it not give the advance ticket purchase option on all days? I was wanting Oct. 5 but that option isn’t there for that night that I see. I just ordered my ticket for Halloween night. I am SUPER EXCITED!!! This is my first time at WDW during this time of year and can’t wait to be there in costume! My daughter and I are going for Christmas this year (it’s a surprise for her) and I am so excited!! I booked our tickets for the MVMCP last night and I am so glad they are holding them until 12/21. I can’t wait!! Am I missing the link to buy, or was this just a date release. #4- David, Skip is right. This is a ticketed event, but you only need this one ticket. #18- Melissa, No it is not sold out. I think it is a misprint in the blog. Where and when can you buy the tickets? I am SO excited for this! This is the first time we’re visiting around Halloween and I can’t wait to go to the party, took no persuading of my family at all. We’re counting down the days until September now! This will be our first time visiting Walt Disney World at Christmas time! We got our tickets for the Very Merry Christmas Party the other day. Can we fast forward to December? It will be an amazing time, Stephen. Be sure to arrive early so you can make the most of it! We will be there for the Nov. 25 date, and have never seen Disney at the holidays! I am so excited! How does the timing work? Will the park close for other guests and then you get readmitted only with the special admission ticket? Also, is the whole park open for rides and attractions, and when does it close? Thanks! Yesterday I bought 5 tickets for DVC discounted October 8th night party. Yet I don’t see that date listed here……….. Did it sell out already? It did NOT. That’s an oversight on our part. We’ve updated the post to reflect the date. If I’m reading your question correctly, I believe the answer is ‘no’ you don’t need a regular park ticket in addition to this ticket. The separate ticket she is referring to should be all you need for the party. 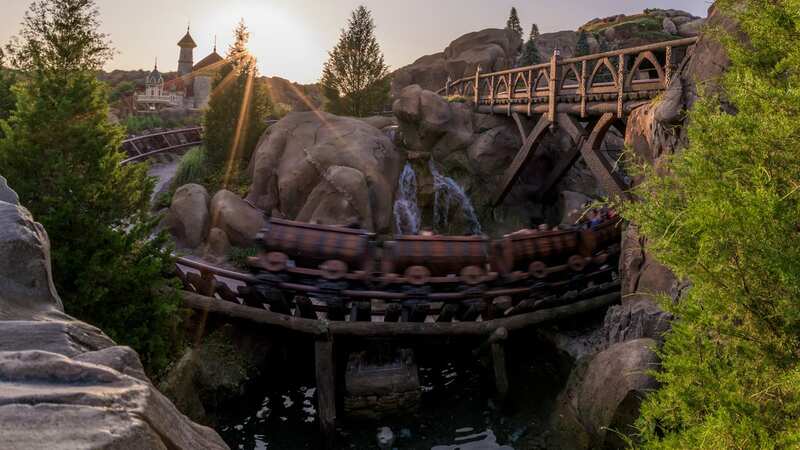 A regular park ticket will grant you admission to the Magic Kingdom during regular park hours; a special event ticket should grant you admission to the Magic Kingdom during the special event / party. My Family and I have already booked our Vacation to WDW in September/Oct. We’re from Australia and been to Disneyland 5 times this our first to WDW and wow what can i say ..timing is everything what with the “Not so scary Halloween party” (I ‘ve bought our tickets!! )and the International Food and Wine festival Plus everything thats there…counting the days!!! This doesn’t mention discounts for DVC members or Annual Passholders this year. Are there not any. or do you have to call in to get them? Thanks. My question is can you add it to your vacation package? We went to MNSSHP two years ago and loved it. DH DD and I dressed up as Peter Pan, Tinker Bell and Wendy. This year we’ll be going to MVMCP and bringing my parents along for their first trip to DWince 1989. We are so beyond excited! We went to MNSSHP last October and it was the MOST FUN we have ever had together as a family. Wish we could go every year! Just Curious. I know the tickets are limited, but to how many? 5000, 10,000, ???? These are 2 of the best events at DisneyWorld. Love them both and hope to get to do them again someday. Disney just does everything with so much class and fun. If you’ve never been and can go – GO!!!!! I LOVE Disney’s hard-ticket events. They’re unbelievable!! Last attended Not-so-Scary Holiday when it was in DCA. What a blast! Has it moved to Disneyland Park now? What are the dates for DL, and when do they go on sale? YAY!! I got my tickets for the Halloween party! I’m bringing my mom who has never been. Awesome, Michelle! I’m sure you’ll both have a blast. Booked our room for Christmas a month ago. Better buy early if you want to go. I agree, Brian – and you save a bit of $$. Do you need a regular park ticket in addition to this ticket or will this ticket alone grant admission to Magic Kingdom? You need a separate ticket to attend the party. Do you know when tickets will be available for the Not-So-Scary party at Disneyland? When will Disneyland holiday event be released? I cover Walt Disney World, so I’ll have to ask my fellow blog author, Erin Glover for a status on an update.